Easy to Operate – Simple to Understand. 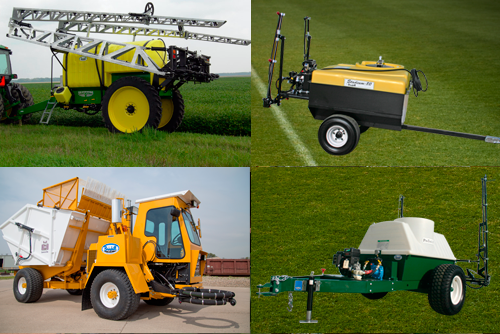 The Toughest Features in Sprayers! We waited until we had the Best! 8 models to choose from. 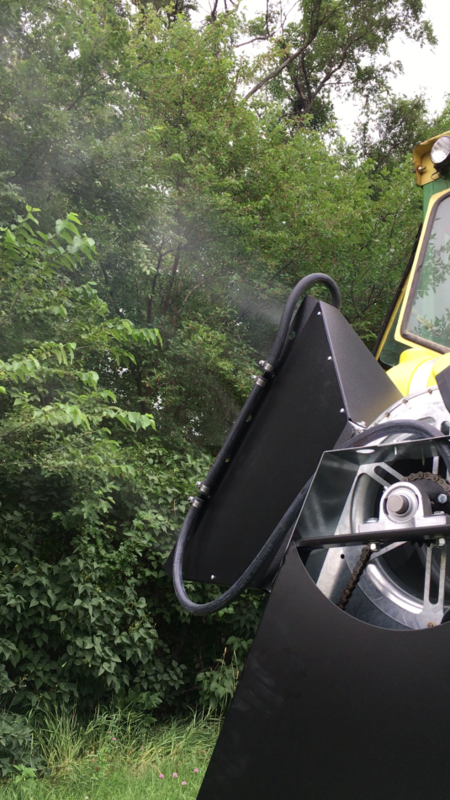 Go where boom sprayers can’t go… GForce Mist Sprayers/Mist Blowers can spray your roughest tough spots such as ravines/diches, fence lines, terraces, trees/brush areas and wet or steep sites. 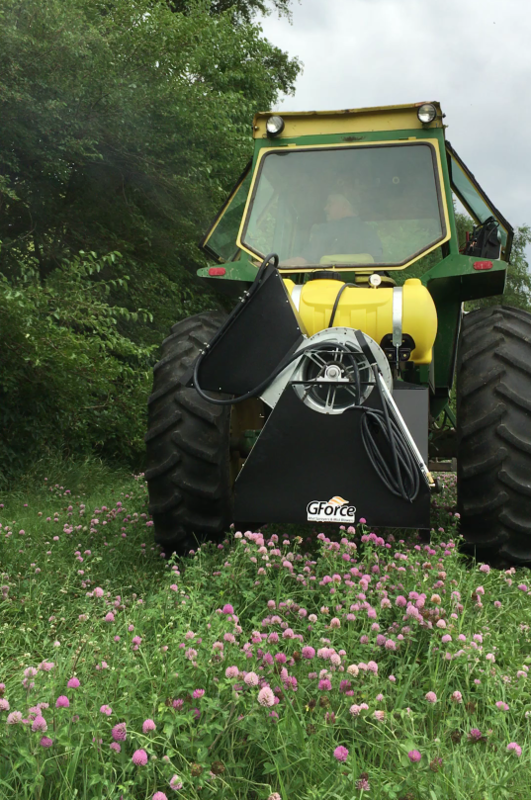 GForce will spray your livestock and around hog/poultry building areas. 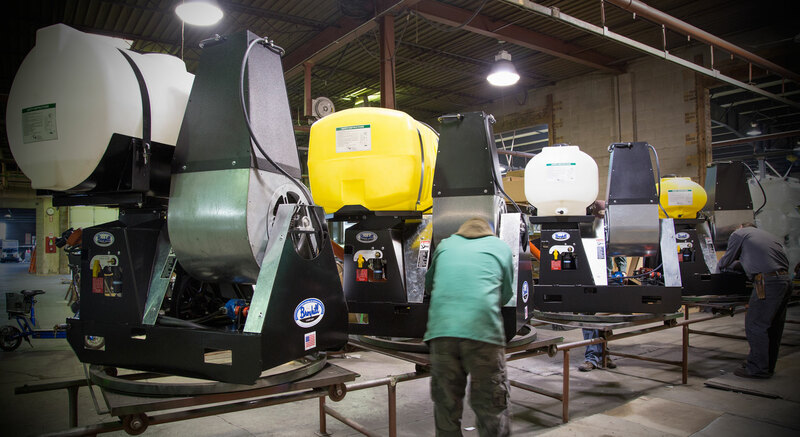 210 degree volute rotation lets you adjust spray to any height. 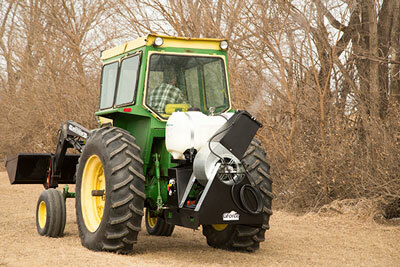 GForce has as standard equipment the options of other mist sprayer manufacturers. 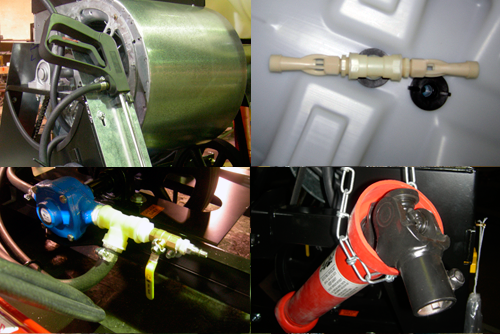 And GForce includes deluxe Hypro 6 roller pumps, improved Lau fans, handguns with 25’ of hose, Spray Control Center, winterizing air valve system, special Iothane (two part) paint protection, dual jet agitation, drain valve and more. GForce wants you to be Safe. So we designed the Spray Control Center as a one stop location to set, adjust and check your units performance away from moving parts. 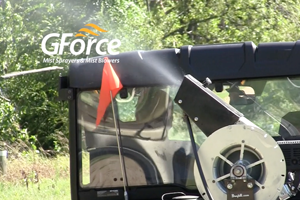 As a Leader you expect the best from GForce Mist Sprayers. If you check out this site you'll see why others follow our lead. All normal options are standard. 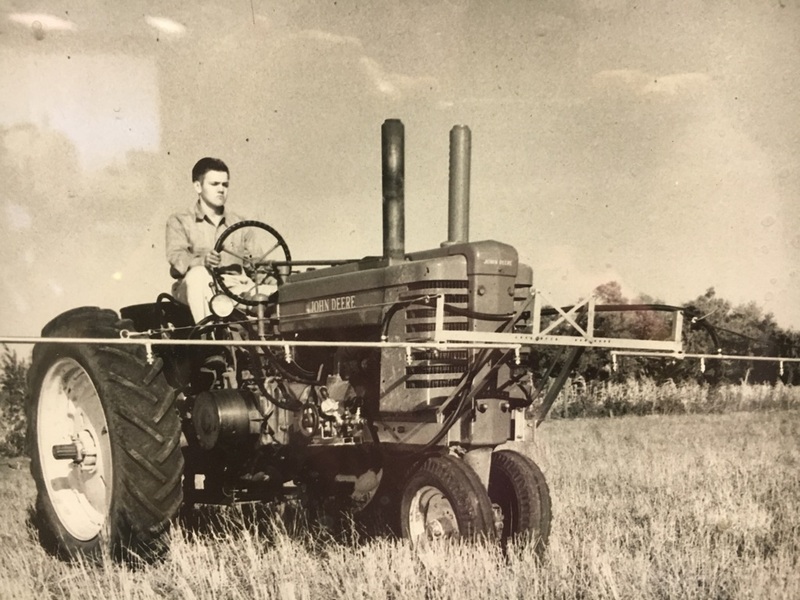 We’ve been building sprayers since 1946. Innovation and experience of application is our history. We build for OEM’s plus we have our own dealer organization. Endorsed by our end users…like you! We will always beat the competitors price. *On a new/comparable model. Call for details. 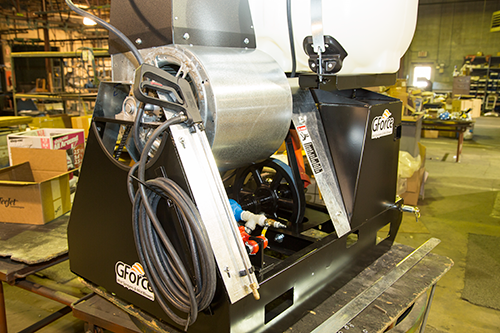 GForce mist sprayers provide the operator a “Spray Control Center” unlike any other mist sprayer. 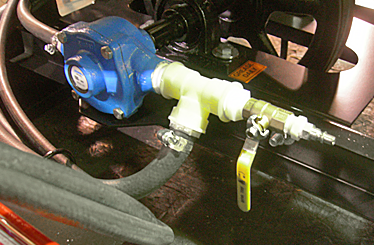 This provides easy access to all necessary controls in one place – out of harms way. This was copied by our competitors. 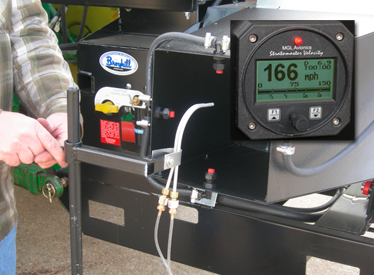 Handgun with 25' hose and hose hanger with handgun holder as standard. 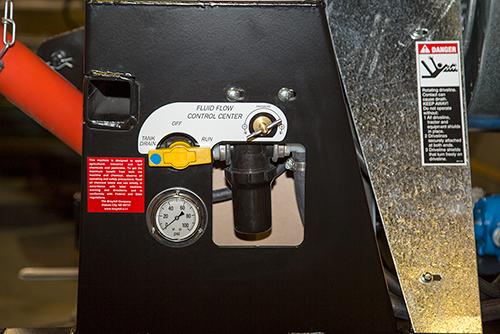 Winterize your GForce with our exclusive kit to blow out the liquids and protect from freezing. Standard. 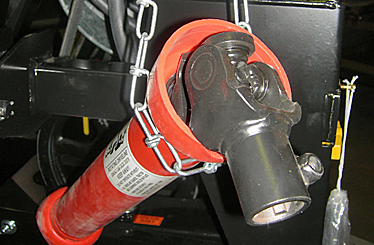 Our chain hanger holds your PTO shaft when not in use. Standard. 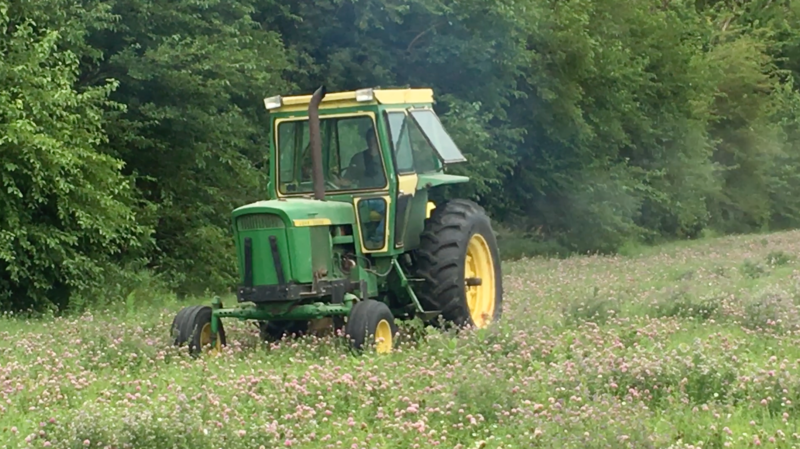 We Know Sprayers. Since 1946. Give us a Call. Our service is what you want and expect from a 70 year old company.